Burp cloths that is! 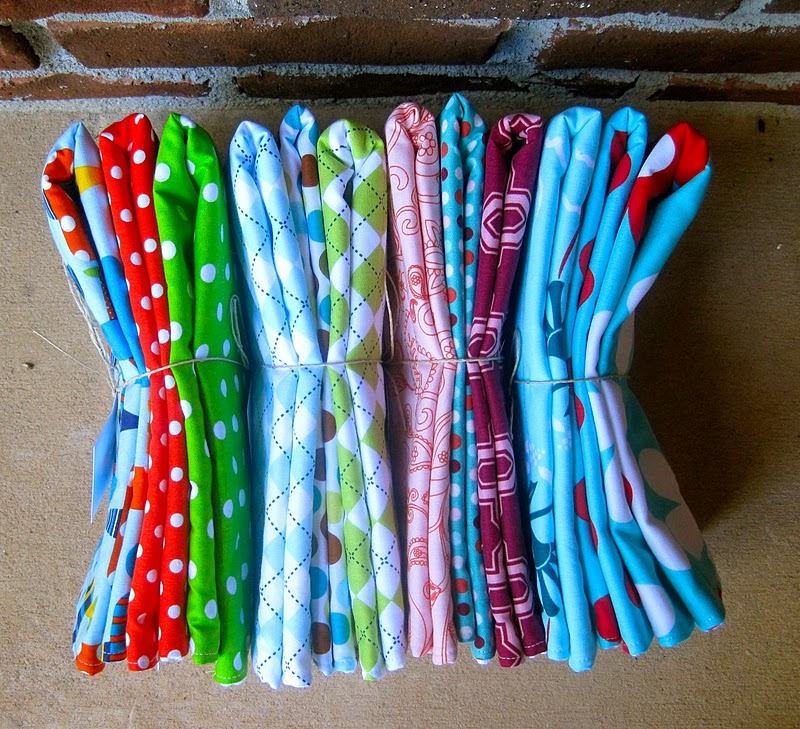 I made 4 sets of three coordinating burp cloths to sell at the bazaar. 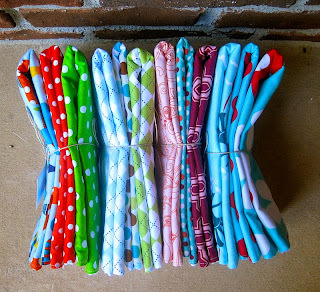 I'm not making a lot of baby stuff other than quilts, but these are so quick I thought I should whip up a few. Love my new tags!!! Thanks again Stefanie! All bundled up and ready to be priced. Pricing is still so hard for me!